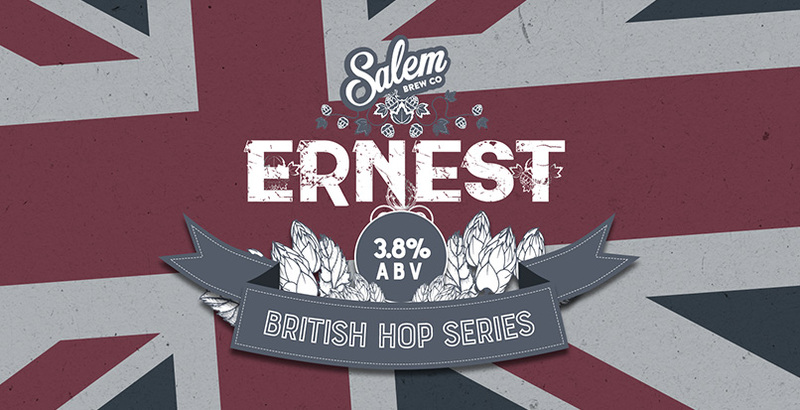 Next in our British hops Salem Brew Co series is Ernest. This English hop is grown in Kent and is commonly associated as a Spring hop. First produced in the 1950s, the hop is strong with an American-style aroma which also produces distinctive long tones. A late maturing, single hop variety beer, Ernest oozes apricot citrus and exotic flavours. If you fancy trying Ernest, it is available throughout May.